The panel is deformed according to the position of the sun, inspired by the movement of sunflower and its phototropism. As the cells of sunflower spread out and create movement toward the sun, so the panel material deforms in the chosen direction. Its movement is fluid and organic such as that of a muscle. 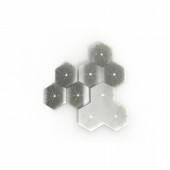 The hexagonal shape is inspired by the observation of bees and their cells that starts since ancient times and the characteristic of the hexagon tessellate the surface using fewer edges. A new concept of photovoltaic system wich follow the sun in every moment of a day and of the year: Just like an evergreen sunflower without heavy machinery to generate movement. Ultra thin and ultra light, panel takes advantage of innovative an sustainable materials to create an organic and fluid movement, that reminds a muscle wich can follow the sun. 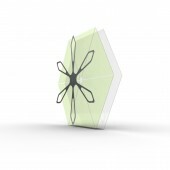 The photovoltaic aps panel is able to deform smoothly and quickly through a polymer capable of changing its structure at the passage of electricity, while the structure just like a skeleton supports electropolimer, which makes him like a lightweight muscle and allows him to move towards the light. 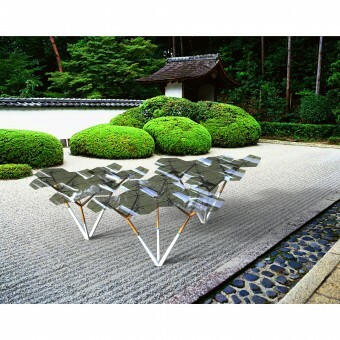 Panels are hexagonal and divided into 6 segments of electroactive polymer (eap) that deform at very low electric charges, creating the follower movement and rising up to 5 centimeters. The photovoltaic part is a deposition of cgis nanoparticles, a thin film similar to an ink that adapts to the flexible substrate. The eap layer with cigs one are protected by an addictional ultrathin and clear layer, a flexible glass of the latest generation, the willow glass. The research begins with the observation of existing in nature heliotropic system and the need to have for the future PV systems not bulky, recyclable, light and modular that integrate harmoniously within urban contexts. 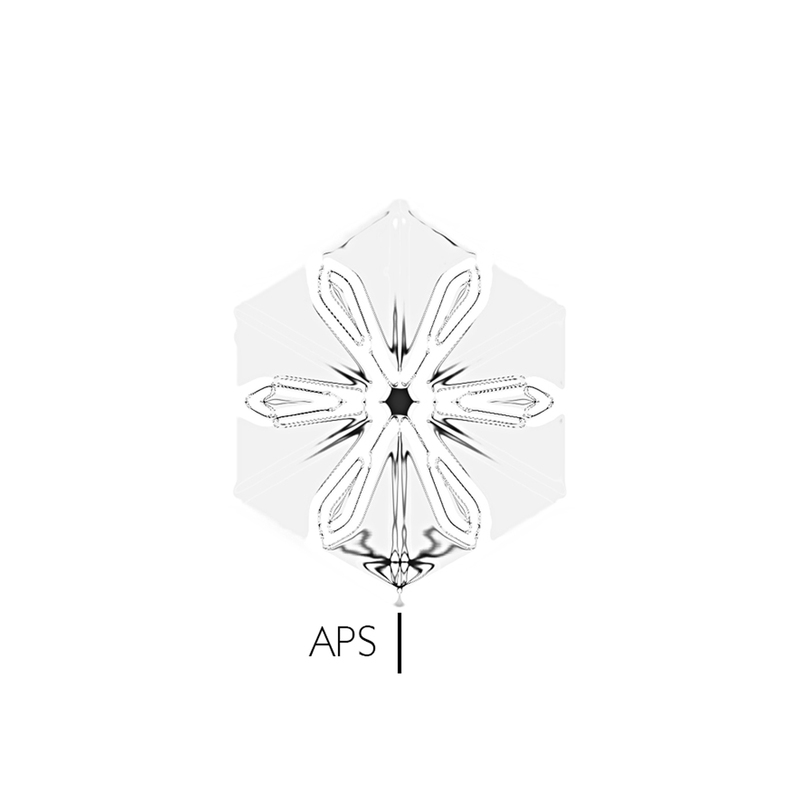 Hence the APS project inspired by the enzymes present in the stem of the sunflower and hexagonal structures that are found in nature. 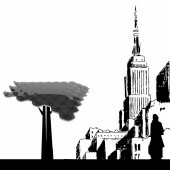 The course in Design for innovation within the department of Architecture "L.Vanvitelli" at the SUN, has as its objective, to train professionals capable of creating innovation through design and research of innovative materials and technologies. Aps Sun-tracking Photovoltaic System by Vincenzo Granata, Anna Dell'aversana, Pietro Liquori Team is a Nominee in Energy Products and Devices Design Category. · Click here to register today inorder to be able to view the profile and other works by Vincenzo Granata, Anna Dell'aversana, Pietro Liquori Team when results are announced. 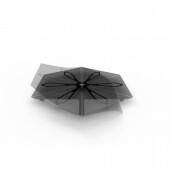 Aps Sun-tracking Photovoltaic System by Vincenzo Granata, Anna Dell'aversana, Pietro Liquori Team is Winner in Energy Products and Devices Design Category, 2013 - 2014. · Press Members: Login or Register to request an exclusive interview with Vincenzo Granata, Anna Dell'aversana, Pietro Liquori Team. · Click here to register inorder to view the profile and other works by Vincenzo Granata, Anna Dell'aversana, Pietro Liquori Team. Did you like Vincenzo Granata, Anna Dell'aversana, Pietro Liquori Team's Energy Design? You will most likely enjoy other award winning energy designs as well. Click here to view more Award Winning Energy Designs. Did you like Aps Sun-Tracking Photovoltaic System? Help us create a global awareness for good energy design worldwide. Show your support for Vincenzo Granata, Anna Dell'aversana, Pietro Liquori Team, the creator of great energy design by gifting them a nomination ticket so that we could promote more of their great energy designs.